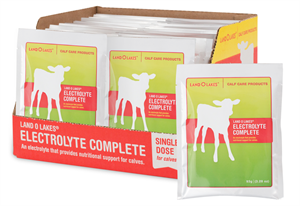 LAND O LAKES® Electrolyte Complete prevents and treats scours, dehydration, and loss of electrolytes in one, easy-to-use package. 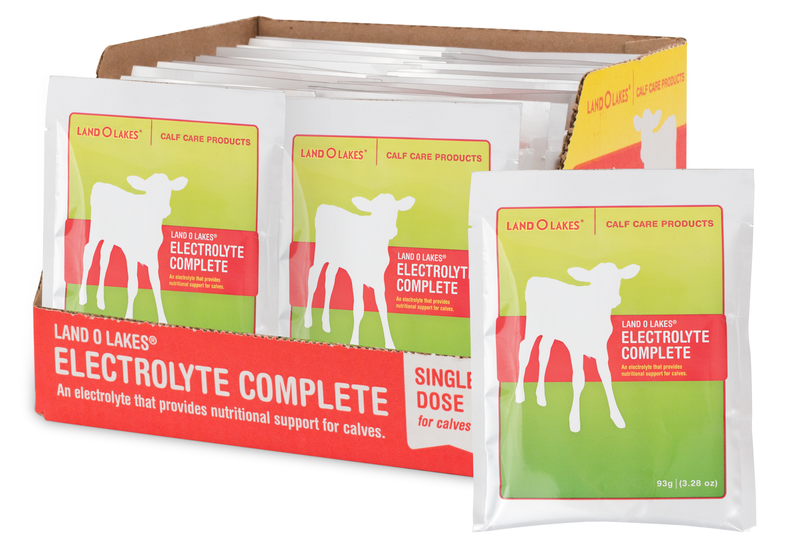 Designed to provide calves nutritional support during disease challenges and periods of stress, Electrolyte Complete replaces electrolytes and improves nutrition and dehydration status. Unlike many other electrolyte products on the market, LAND O LAKES® Electrolyte Complete does not contain direct-fed microbials which can lead to d-lactic acidosis.